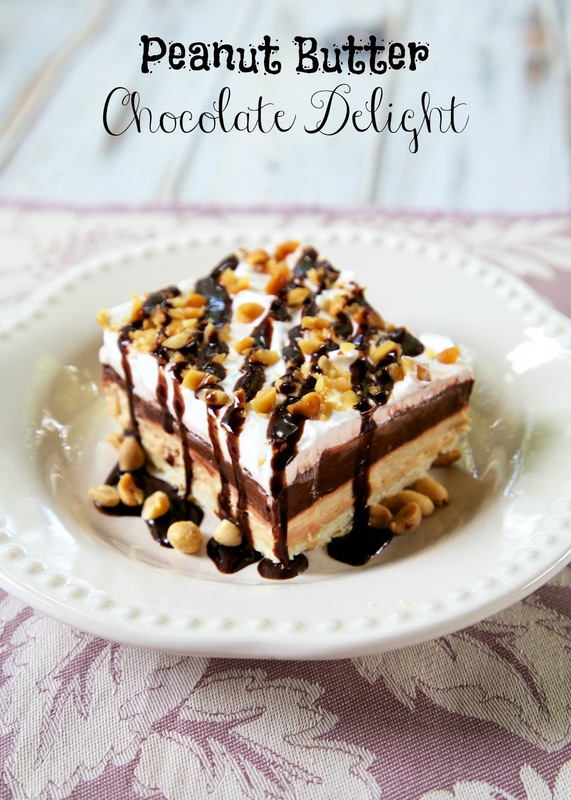 My friend, , Joy (sowelllife.com), makes a dessert called Husband's Delight. It is a cookie layer, topped with a sweet cream cheese mixture, chocolate pudding and cool whip. I've had it on my list to make for a while. I finally decided to give it a try - with a twist. I added peanut butter to the cream cheese layer. I figured if it was good with chocolate, it has to be even better with chocolate and peanut butter! This was SO good and SO easy to make. I actually thought it was better the second day. The extra time in the refrigerator really helped the flavors come together and set up. This was so light and easy to eat! We both loved it. It is a great dessert for a crowd. It will easily serve 12-16 people. Preheat oven to 350 degrees. Lightly spray a 9x13-inch pan with cooking spray. Set aside. Combine flour, salt and melted butter. Press into bottom of prepared pan. Bake 20-25 minutes, until golden brown. Allow to cool completely. Using a hand held mixer, beat together cream cheese, peanut butter, powdered sugar and vanilla. Carefully fold in half of the Cool Whip. Spread over cookie layer. Whisk together pudding and milk. Spread over peanut butter layer. Top with remaining Cool Whip. 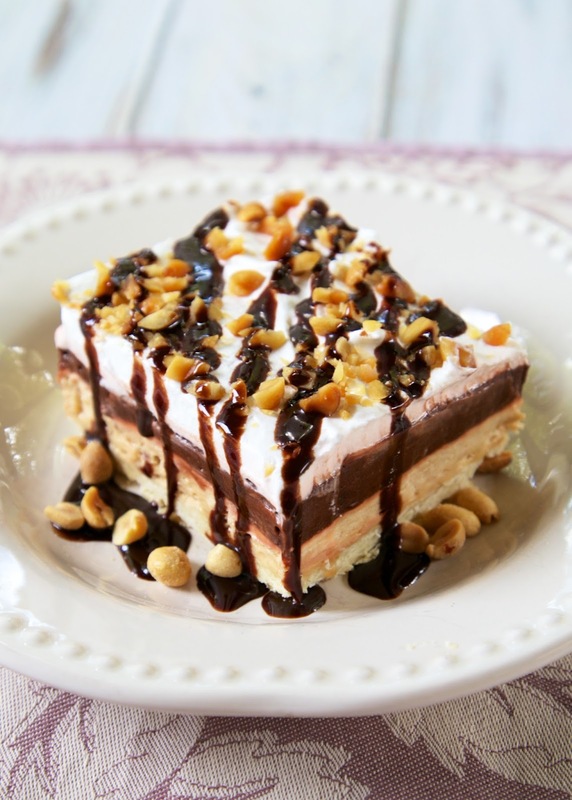 Top with chopped peanuts and chocolate syrup, if desired. Should you put this in the fridge or the freezer? Oh that looks delicious:) Thanks for the recipe! Have a blessed day, HUGS! This looks delicious. May try it this weekend. Thanks for sharing. I'm not sure this dessert would make it to a second day at our house. It looks too delicious for words! Instant pudding? Crunchy peanut butter or smooth? Looks delicious! Instant pudding. I used smooth peanut butter, but could use crunchy if you prefer. This looks incredible. I've been looking for a recipe like this for years. Thanks for sharing.